Gridmann NSF Stainless Steel Commercial Kitchen Prep & Work Table w/ Backsplash - 60 in. x 24 in. 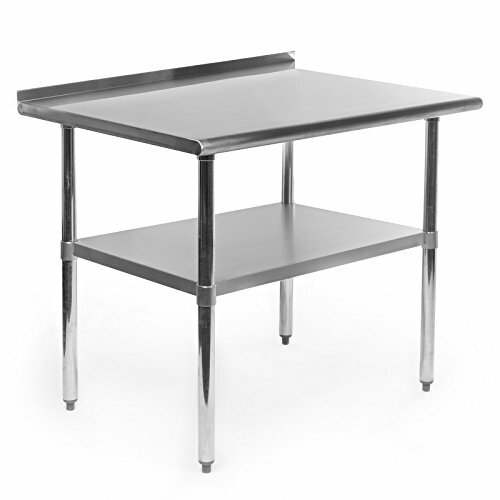 John Boos JNB17 Maple Top Work Table with Galvanized Base and bracing, 96" x 36" x 1-1/2"